Volvo makes luxury cars. Awkward to see in writing, I know. But one of Volvo’s latest offerings redefines what it means to have that Volvo logo, up front on the grille. Volvo’s new XC90 is the company’s second-generation luxury SUV. 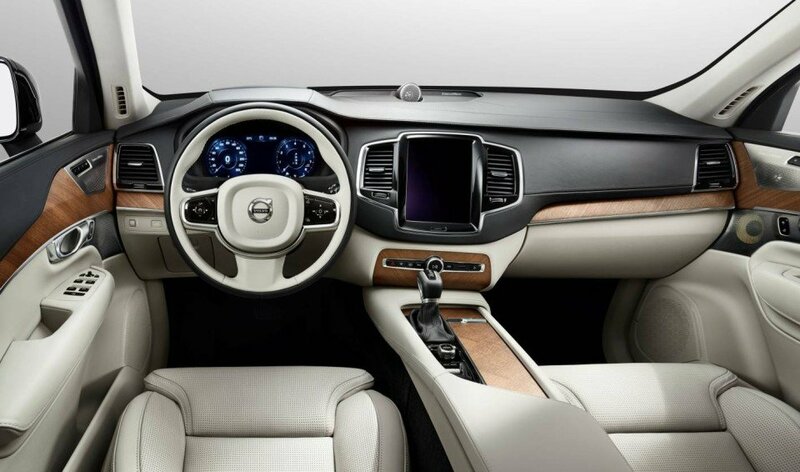 The new XC90 runs on Volvo’s Scalable Product Architecture which is a modular chassis developed by the company. The XC90 contains the very best of what Volvo has to offer in terms of performance, styling, safety, and tech. Let’s start off with performance. The XC90 is no slouch for an SUV, delivering 316 horsepower from its supercharged, and yes, also turbocharged 2 liter engine coupled with an eight-speed automatic transmission. 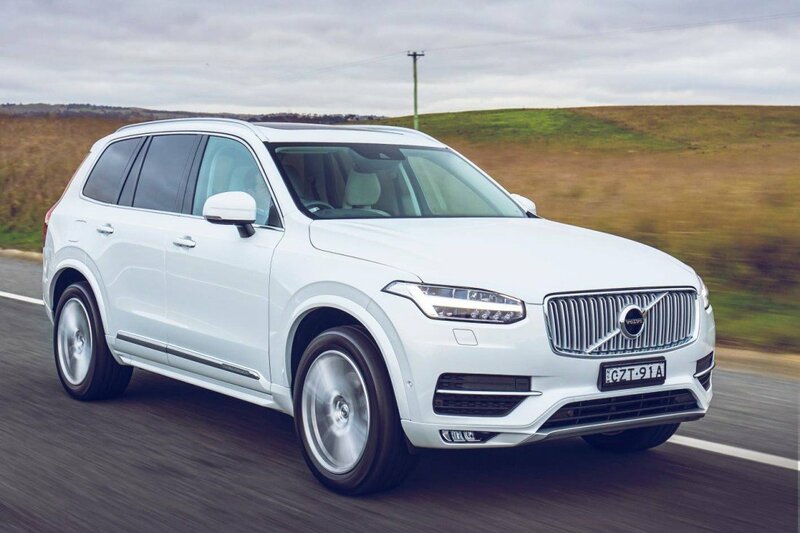 With the power you can feel inside the SUV, the XC90 would definitely not lead you to believe it had a 2 liter engine underneath as Volvo managed to eek out maximum performance from this highly-tuned piece of machinery. A truly remarkable feat that can only really be enjoyed inside the cabin. The ride you get with the XC90 is quite configurable, with adjusting the steering as easily available as adjusting the seats. 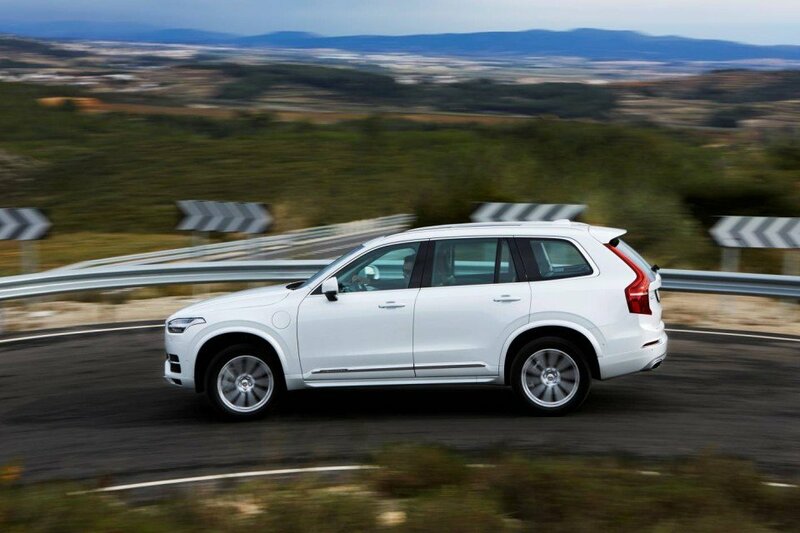 This demonstrates the fun, playful side of the XC90, as well as the performance seeking “naughty”, other side. 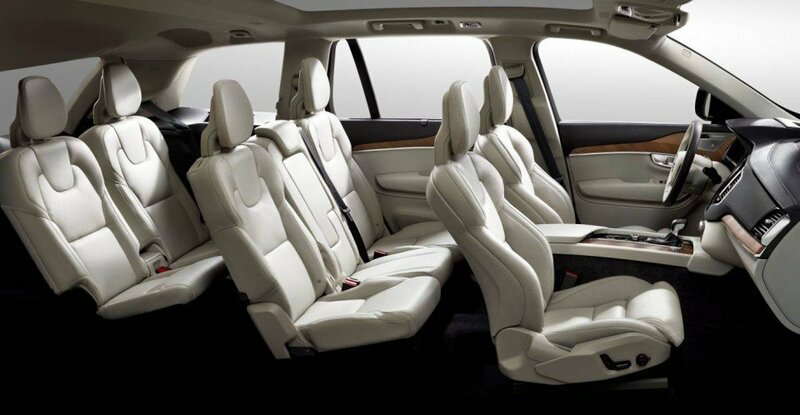 Speaking of which, the luxurious innards of the XC90 speak to Volvo’s new commitment of passenger comfort. Both the second and third rows are quite spacious and comfortable as well as fully adjustable. The second row is split in such a way that each seat moves separately which is a nice touch. Also included in the second row is a built-in booster seat for when the youngster wants to take a spin. Go ahead, take the little guy out for a ride, you’ll feel completely safe knowing that Volvo has really stepped up the safety game from an already impressive standing. Volvo introduced “Safe Positioning” which is automatic breaking for situations where a T-Bone could occur. Again, the inside of this cabin are really quite luxurious. Hints of chrome everywhere from the center console and beyond really make the interior of the XC90 a joy to be in. The Sensus infotainment system is probably one of the best I have ever used. 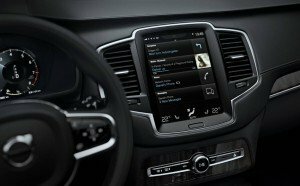 A tablet style setup is used in the XC90 which is a step up from any other setup in my opinion. The main point of this system is that it is fast. Like really, really fast. I never had the system hang up on me, and it always kept up with my swipes and taps no matter how fast I went through the menus. Speaking of menus, the overall system was very easy to navigate, while also providing a plethora of advanced features. I was really impressed with my time with the XC90, and it truly showed me how Volvo has expanded its horizons as a company. Right now, the XC90 is THE luxury SUV to buy, combining a perfect portion of style, safety, performance, and tech, that no other competitor can match. Although, when ordering your XC90, treat yourself, bump up the specs once. You’ll thank me (and Volvo) later.